The Sandwich Generation, those caught between their aging parents and young children, includes some 20 million Americans. 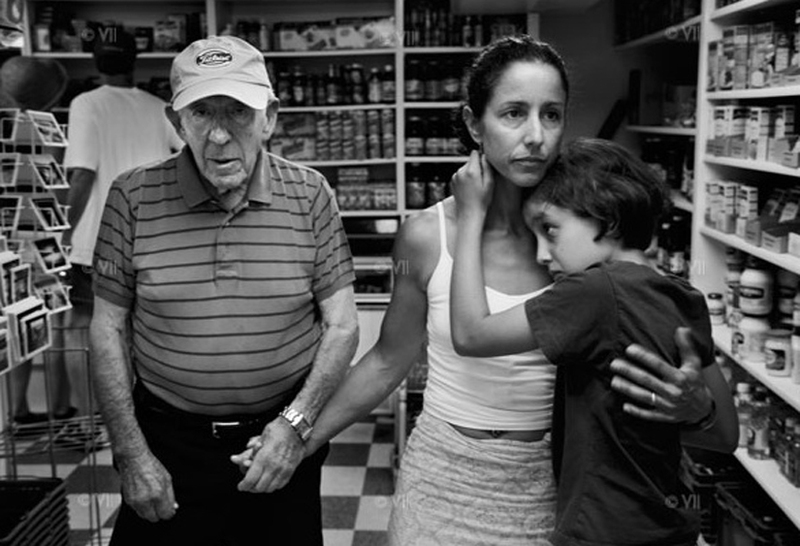 In this emotionally charged account of family caregiving, filmmaker Julie Winokur and her husband, photojournalist Ed Kashi, expose their personal lives with unflinching candor. Winokur and Kashi uprooted their two children and their business in order to move 3,000 miles cross-country to care for Winokur’s father, Herbie. Julie Winokur is a writer and documentary film producer who uses the visual power of film to catalyze positive social change. She is Executive Director of Talking Eyes Media, which she founded with her husband, photojournalist Ed Kashi. Winokur’s work has appeared on PBS, National Geographic online, MediaStorm, MSNBC.com, and in The Wall Street Journal, The New York Times Magazine, and The Washington Post, among others. Ed Kashi is a photojournalist, filmmaker and educator dedicated to documenting the social and political issues that define our times. A sensitive eye and an intimate relationship to his subjects are the signatures of his work. Kashi’s complex imagery has been recognized for its compelling rendering of the human condition.